Product #21956 | SKU XVM-110F | 0.0 (no ratings yet) Thanks for your rating! 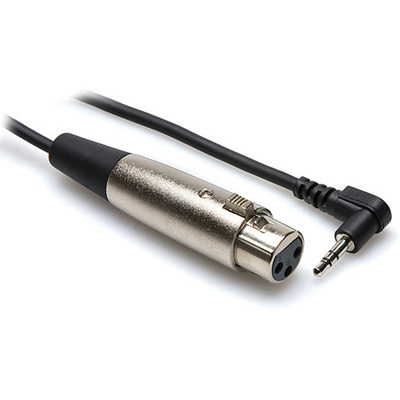 The ten foot XLR3F to Right-Angle 3.5mm TRS Microphone Cable by Hosa Technology is ideal for connecting pro microphones to DV cameras or portable audio recorders. It features a XLR3F connector, OFC (Oxygen-free Copper) conductor and offers OFC spiral shielding for EMI and RFI (Electromagnetic and Radio Frequency Interference) rejection.